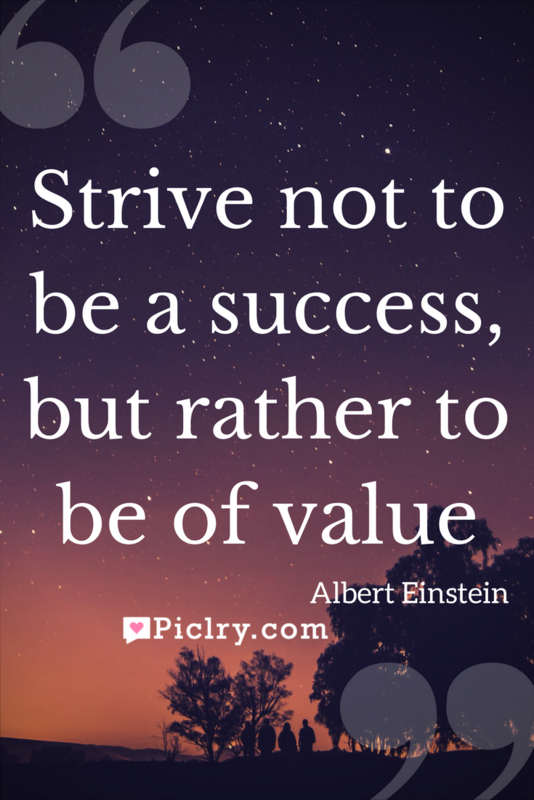 Meaning of “strive not to be a success, but rather to be of value” quote by Albert Einstein. This proverb was given by the most intelligent mind in the history of the world, Albert Einstein. In this quotation he has laid emphasis on the most mysterious notion of helping others. He considered success a rather selfish goal because it is for you. Value is what you can offer to others from what have we earned. For being the person of value, you must first learn to value yourself and then be of the value to the others. You can never know the pleasure and satisfaction it can bring unless you have been into it. Success is temporary. It comes and goes. Once you have achieved a goal, you want another. It is a never ending pursuit and never satisfactory. Value stays forever. The more you are of value to others, the more satisfying it gets. So be of some value.